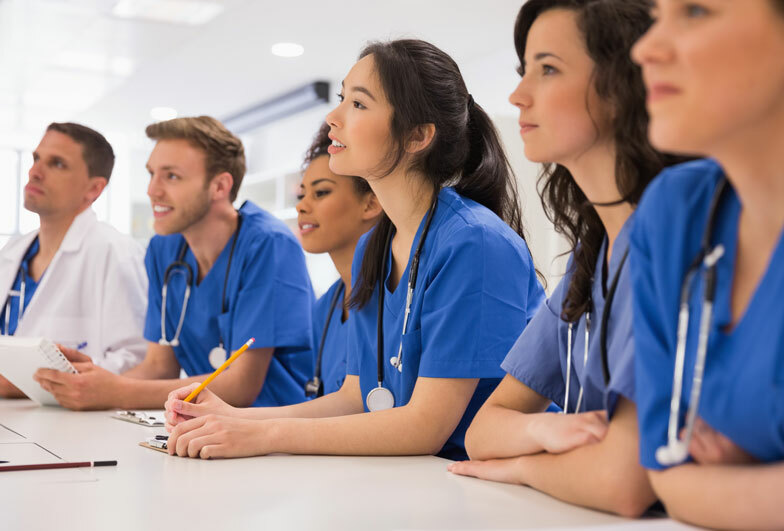 You want to be prepared for the start of your medical studies in the best way and to have a great advantage over your fellow students regarding knowledge? Then you should definitely take part in the pre-med course for medical studies, which is taking place in the wonderful city of Alicante in Spain for the second time this year. You are planning to start the degree program in medicine abroad and you want to prepare for admission exams and the start of studies? You want to study in your home country, but you want to learn the primary course contents in the medical and scientific world language English? For both intentions, the course is equally promoting, because you will be educated by leading professors, doctors and experts in their specialized field. They exactly know the requirements of the admission exams at the university. You will get the needed knowledge imparted by our lecturers, and they will also give personal learning advice, which is always geared to your current state of knowledge, so you can specifically improve yourself. This is why you will have to take a self-evaluation test after each subject area, in order to test if you are prepared enough or you might need some more revision in certain sections. We will accompany you on your way to medical studies with our experienced and international lecturers! Sign up for one of the last please in the pre-med course in July. It is the last course this year! 0 responses on "Sign Up For Our Next Pre-Med Course in July"